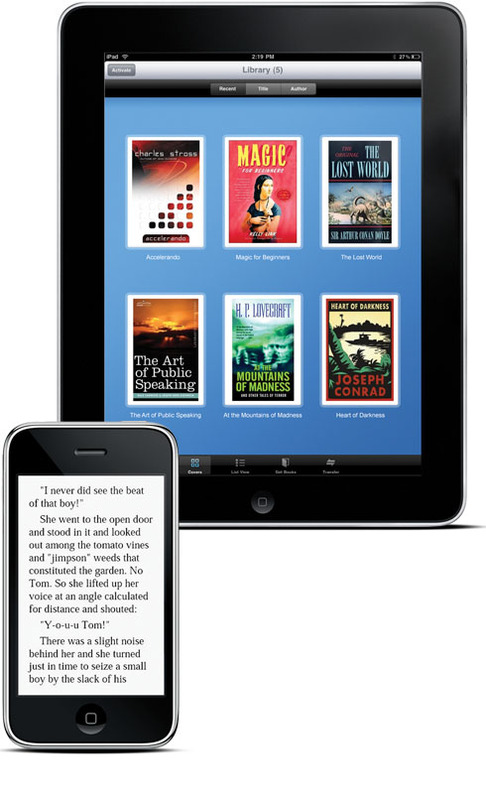 your eReader app overnight and get to market early with Bluefire Reader. We help our customers accelerate their time to market and reduce development costs of eReader software for Apple® iPhone®, iPad, and iPod touch® devices. Our solutions leverage Adobe® Reader® Mobile SDK, the industry standard technology for eReader devices and applications that support EPUB and PDF file formats with Adobe Content Server 4 digital rights management (ACS4 DRM) protection. And because Bluefire has provided design and development services to the eBook software teams at Adobe since 2006, we can offer insights and expertise that you simply cannot find anywhere else. Free up your development team from the otherwise expensive and time consuming task of porting key RMSDK features to the iPhone OS platform, and allow them to focus on creating your unique, branded user experience. Or, get a custom end-to-end solution from design to delivery of a final product. ©2010 Bluefire Productions, LLC. All rights reserved. All other marks contained herein are the property of their respective owners.